The Huntington Arts Council is proud to offer 3 scholarships for high school students; two in dance, one for the visual arts. The Huntington Arts Council is proud to announce two scholarships in dance for Long Island High School Students graduating in 2019! The Rea Jacobs Scholarship for Dance is a competitive scholarship for Nassau and Suffolk High School graduating seniors who are pursuing a four year college degree with a major or minor in Dance. A $1000 award will be given in 2019 to a male or female student. The scholarship is funded by the Long Island Dance Consortium and the Jacobs Family. 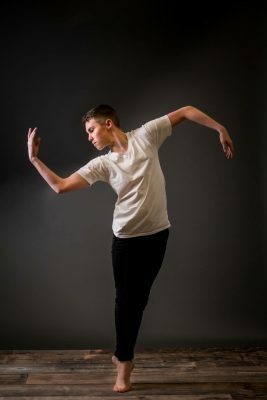 The winner will be invited to perform with member companies of the Long Island Dance Consortium at the Summer Arts Festival in Heckscher Park in 2019. Friday, May 3, 2019 at 5pm. The Sandi Bloomberg Scholarship for Dance is a competitive scholarship for Suffolk & Nassau High School Graduating Seniors who are considering furthering their education in dance, but not necessarily in an accredited program. One award of $1,000 will be given in 2019. This scholarship is funded by Sandi Bloomberg. The winner will be invited to perform with member companies of the Long Island Dance Consortium at the Huntington Summer Arts Festival in Heckscher Park in 2019. *This scholarship is now closed. All scholarship winners will be posted in late May 2019. The Huntington Arts Council is proud to announce the reinstatement of The Joan Aboff Memorial Art Scholarship for 2019! The Joan Aboff Memorial Art Scholarship is a competitive visual arts scholarship to Usdan; Summer Camp for the Arts for 11th and 12th grade students in the town of Huntington. The scholarship is funded by the Aboff family.